Online diagnostics is a modern tool for people management. It informs about an individual’s personality, work motivation, ability to handle stress, management style and many other findings. You can get to know your candidates before even interviewing them, identify development needs of individuals and teams, and receive valid and reliable output for you to build on. It is available at any time and any place, all you need is Internet access. Output reports are lucid and give information over and above CV’s and interviews. Output for individuals as well as entire teams. Optional generation of team output free of charge for all projects. Wide field of application in HR processes. A comprehensive questionnaire that measures personality, decision-making, information processing and level of activity. Wide range of application for various groups of people. A comprehensive questionnaire focused on work style, its advantages and disadvantages. Maps strong and weak parts. Wide range of application for various groups of people. Focused on motivation and preference towards sales, management, specialist or team role. Suitable for almost all groups of people except for middle and top managers. Measures the ability to cope with stress and 12 strategies commonly used in stress situations. Also focuses on an ability to be at ease under stress and solve stress situation. Suitable for all positions that must handle stress on a daily basis. Measures preference of various team roles and their advantages, risks and ideas for development. It is suitable mainly for members of stable or project teams. Measures the current sales ability in various parts of the whole sales cycle across 12 sales competences. Also measures potential for future development. It is suitable mainly for salespeople selling products and services with high added value. Measures the current sales ability in various parts of the whole sales cycle across 12 sales competences. It is suitable mainly for salespeople selling products and services with high added value. Measures the ability to communicate assertively in various work and social situations (e.g. ability to assert oneself, stand by one’s opinion, work with feedback and develop relationships). Suitable for all positions where good communication is a key part of the job. Measures managerial style and how the given manager makes decisions and achieves results. It is suitable mainly managers, project managers, or team leaders. Measures deep values and motivation of a person and his/her fit into a company culture. Suitable for any position where fit with company culture is crucial. Measures the ability to think logically, quickly orient in new situations and analyze data. Suitable for all positions that need the ability to quickly orient themselves in a new situation and come up with logical and fitting solutions. Measures the ability to work under pressure and do a repetitive activity quickly yet precisely. Excellent method for any administrative or support position. Measures the ability to make fast and right decisions under pressure. Suitable for positions that need to decide under pressure with limited time, yet make the right call - e.g. managers, pilots. Measures numerical intelligence, both in abstract tasks and short case studies. Suitable for all positions that need to work with numbers. Measures 9 key areas of sales skills and knowledge by testing them in 27 sales model situations. It is suitable mainly for salespeople selling products and services with high added value. We offer a wide range of online psychodiagnostic and psychometric questionnaires focusing on personality, motivation, team roles, managerial styles, stress handling, or specific work competences. The questionnaires can be a valuable source of information about new hirees, tell you about a candidate’s advantages, or warn you about potential risks, and can help you make your job interviews more effective and better targeted. They are also a source of information for further development, for the work of a lecturer or a coach. Some questionnaires allow you to set an ideal profile, an internal benchmark, or a required level of a competence. They are constructed so as to minimize the risk of distortion and stylization. Taking part in the creation of these questionnaires are experienced psychologists with many years of practice in the area of human resources management, lecturers, sociologists, and andragogy experts. All questionnaires are standardized on the Czech working population. They are regularly revised, put through various validation studies, and they comply with high standards of validity and reliability. 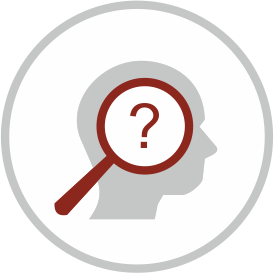 We offer first-rate psychodiagnostic and psychometric tests of specific abilities or knowledge. Using our tests allows you to measure quickly the level of verbal skills, abstract thinking, concentration of attention, short-term memory or the knowledge of English. For sales people, we offer a test of practical sales thinking. The tests give you a quick idea of your employees’ or candidates’ prerequisites for good performance. You can also apply them in the process of selection from a large number of candidates. Participants can be compared by their results in individual tests or by their overall score. All questionnaires are standardized on the Czech working population. They are regularly revised, put through various validation studies, and they comply with high standards of validity and reliability. SELECT SUCH EMPLOYEEES WHO WILL EARN HIGHER REVENUES! Based on diagnostic methods we have identified key traits in telephone operators which relate to customer activity and satisfaction. Our Multifactor personality profile is able to predict both areas very well. Active operators identified by the Multifactor personality profile earn up to 25% higher revenues and customer satisfaction with these operators is higher as well.